We are super excited to announce we have 5 beautiful ladies whose lives are being restored! We are excited that we are getting three more ladies desiring healing, restoration and healing! ​ New Women Restored Business! We are super excited to announce one of our social business enterprises for our women is open! As women in restoration begin healing, employment opportunities for their gifts are important! Help us help them! Orchids of Grace Lawn and Gardens! A team of women restored in beauty of God’s love pouring out love in your garden and lawn! Thank you to Lowe's for their community Service! We were selected as the Lowe's heroes project in Jessamine County Ky! They are amazing! We have Heat and Air! God has opened so many doors for us to help women heal and be restored. Today, I am thankful how God brought Ryan Holland into our life this summer for beds and how God continued to use him to meet a huge need through amazing partners coming together to bless our rehab home! He gives back in so many ways in our communities! I want to personally thank all of the men who came to climb attic stairs multiple times, work outside, inside doing all the work to get heat and air into the house! I am forever grateful. I thank you for all have done! The men were gracious and excellent enployees! ​We are in need of your financial support , please let us know how you are willing to partner with us to bring freedom and safety to these beautiful women's lives. I wanted to share that my book is now out! It is a book on identity in Christ and has stories (yes!) from women and men who were broken and God intervened in their brokenness through anger, adoption, addiction, death, mental illness, self -esteem and plain brokenness and brought them to who they are today! You can get it off HERE!!! It is has a study guide at the end of each chapter and additional scriptures for study on forgiveness, freedom, love, restoration,and being enough! Can we relate to any of those? If you have family or friends dealing with some of those issues or are in addiction or recovering, it is a great book to see how God can restore! Much love! I would love to come and share with you about this journey and will even do a book signing! We cannot do it without you! We are excited to announce our Freedom’s Resting Place in Nicholasville Ky. A home which will serve 6-12 women at a time. Women who need healing from addiction yielding itself to abuse, exploitation and trafficking . When healing comes, freedom reigns! Freedom is possible! T-shirts Available! 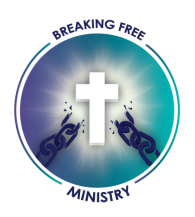 Visit our Breaking Free store! 45 Million in Active Addiction! Substance Abuse is #1 in organized crime! Human Trafficking is #2 organized crime! ​We are here for this reason! We are a 501(c) non-profit organization : Tax ID-81-2452032. Your gift is tax-deductible. Sign up for our newsletter so you can hear the latest that God is doing!